Directed by Anthony Maras. 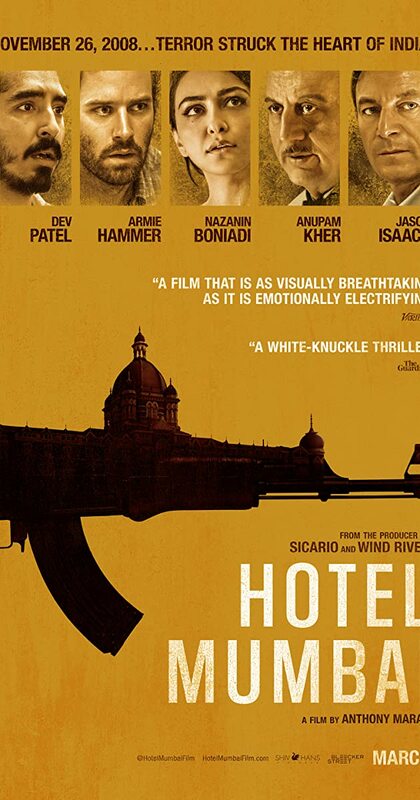 With Dev Patel, Armie Hammer, Nazanin Boniadi, Anupam Kher. The true story of the Taj Hotel terrorist attack in Mumbai. Hotel staff risk their lives to keep everyone safe as people make unthinkable sacrifices to protect themselves and their families.